PLACENTIA, CA – Although geographically a country apart The Bruery and Cigar City have managed to collaborate on a special limited release brew. In 2008, Patrick Rue (The Bruery) and Joey Redner (Cigar City) began establishing their business in very similar fashions but in opposite timezones. Both brewers explore and push the limits of "beer" by experimenting with rarely used ingredients such as Thai Basil, agave, and even Yams (Autumn Maple). 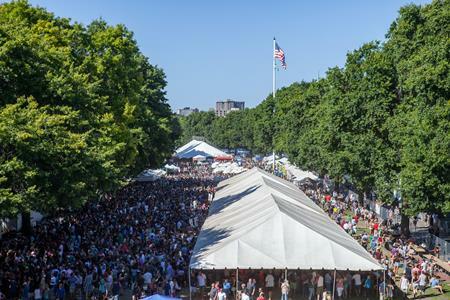 The two met each other for the first time during the 2009 Great American Beer Festival while enjoying a few pints at the Falling Rock Tap House and it was there that the general concept for a recipe was developed. Shortly after Marrón Acidifié was born. 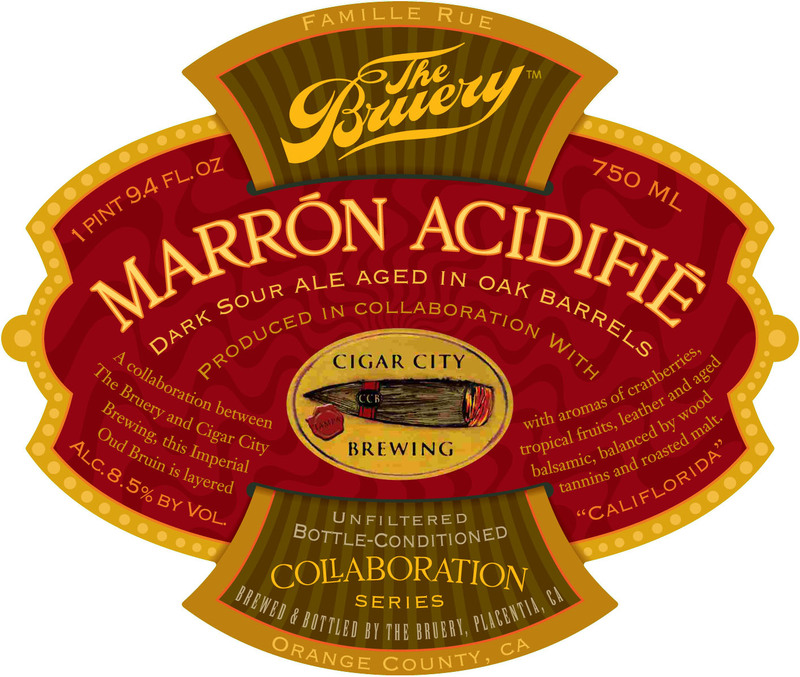 Marrón Acidifié is an Imperial Oud Bruin developed from a mutual love of classic Belgian technique blended with modern American ingenuity. The beer has spent over a year in barrels (both bourbon and wine) leaving this dark sour ale layered with notes of cranberries, tropical fruits, leather and aged balsamic vinegar, all balanced by wood tannins and roasted malt. This Dark Sour Ale is set to release in the Spring of 2011 and will check in at 8.5% and 15 IBU's.